10 sheets per package, stock up on these for your Ring Binders 10 sheets per package, stock up on these for your Ring Binders. Includes 12 Pocket Pages (3 designs/4 each) 8 Sn@p Pages and 1 pocket. It's your life in a snap! 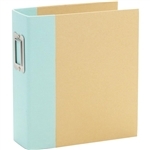 This binder includes a variety of pages; pockets; and dividers so you can easily create a personalized album filled with your cherished memories. The binder itself measures 8-3/4x8-3/8x2 inches and holds pages up to 8x6 inches in size. 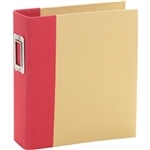 It comes with eight Sn@p pages; three Kraft chipboard dividers; and ten Sn@p pocket pages to get you started and can also be filled with various other sheets of your own. 10 Page protectors. Each page in this pack has four 3x4 inch photo slots and they will fit into any 6x8 inch 2-ring binder albums where the binder rings are spaced 4 inches apart, including our 6x8 Sn@p albums. 10 Page protectors.Each page in this pack has one 6x4 inch and two 3x4 inch photo slots and they will fit into any 6x8 inch 2-ring binder albums where the binder rings are spaced 4 inches apart including our 6x8 Sn@p albums. Includes 8 Sn@p! pages, 2 chipboard dividers, and 10 page protectors.